A few weeks ago, Wendy and I each received surprise FedEx packages from our friends at Neiman Marcus. Inside was a Christian Dior black pouch with sample products and this invite to an upcoming Dior event. We made appointments right away. 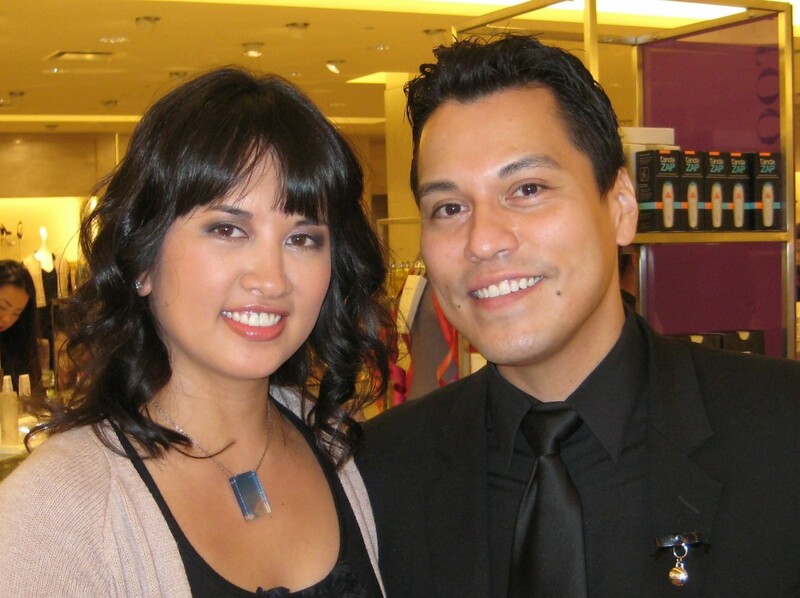 So this past Wednesday afternoon, Wendy and I headed to Neiman Marcus for Dior beautification. We were each seated right away for our makeovers, and Diane was assigned to began working on my “new look”. She first cleansed and then applied the whole line-up of Dior L’Or de Vie on my face. 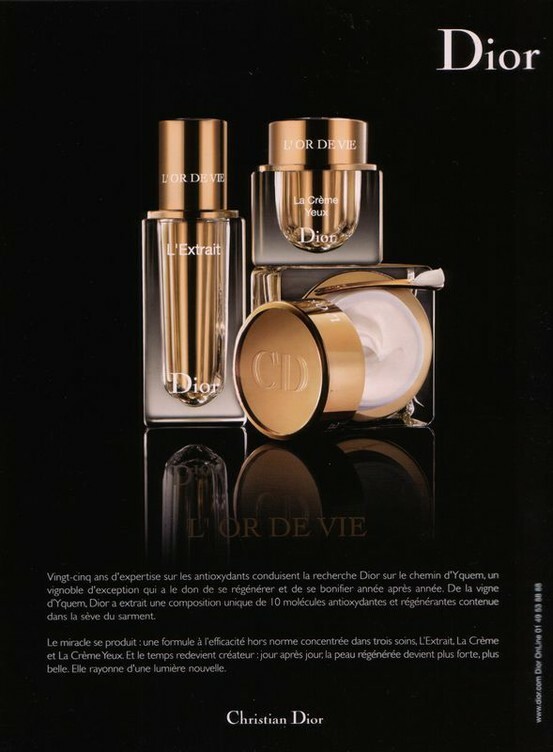 L’Or de Vie is their “premium anti-aging” skincare line, and the first thing I noticed were the very fancy, heavy glass jars they came in. When it comes time to replenish your products, there’s a disposable insert casing that comes out of the jar. Pretty cool. Everything felt great on and the ingredients sound luxurious, but L’Or de Vie is definitely too rich for my blood ($195 for the eye cream, $395 for the serum). After all, “L’Or de Vie” is French for “Gold of Life”. Diane then used their Diorskin Airflash Skin Foundation, sprayed onto a brush and then applied to my face. When it came time to do my eyes, Jeffrey Sanchez, the Dior National Make-up Artist and the guest of honor for the event, stepped in to work his magic. Lucky me! He’s a very handsome, native Texan based out of Dallas. Jeff travels a ton, doing glamorous things like photo shoots for Harper’s Bazaar. Plus, he was lots of fun to chat with. I told him I was open to a dramatic look, and he took his time perfectly blending my smoky eyes using multiple purple shades, and I also overheard something about a black eyeshadow. For my lashes, he used a combo of Iconic, my personal fave mascara, with Black Out layered on top. And at the end he went back with Airflash in a darker shade to sculpt my cheeks a bit. Whatever he did, I think it looked polished and fabulous. Of course, I couldn’t leave empty handed, but you’ll just have to wait and see what Dior product(s) came home with me! 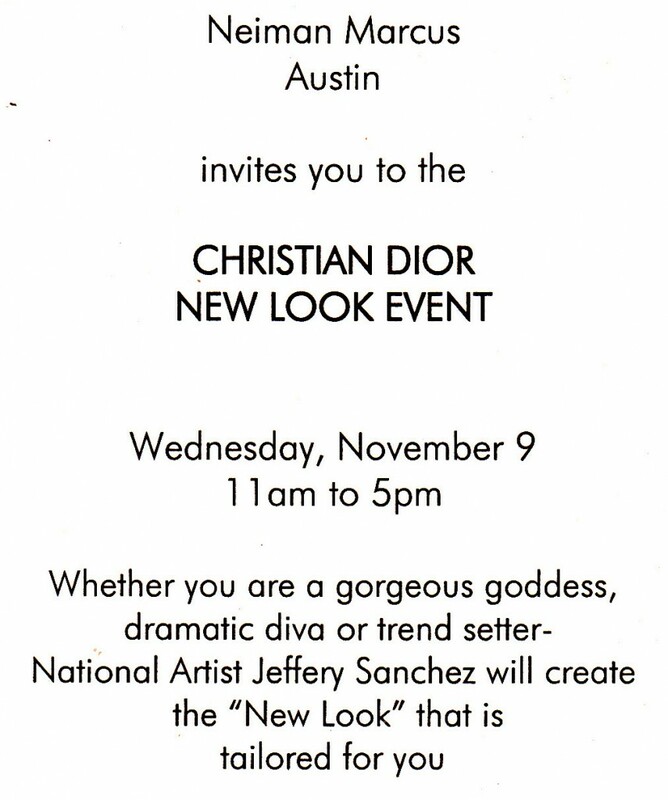 This entry was posted in Vanity and tagged Dior, Jeffrey Sanchez, L'Or de Vie, make-up, Neiman Marcus, smoky eye, spray foundation on November 11, 2011 by jenn.